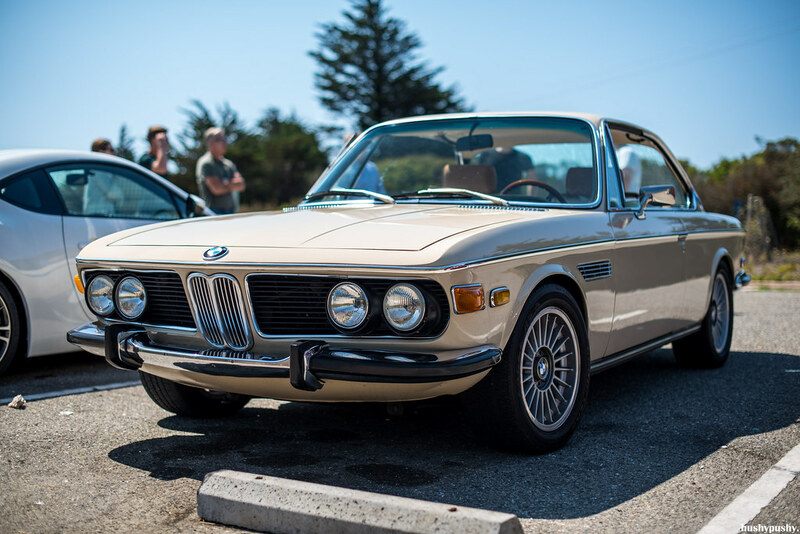 Have you ever wanted to drive across the United States? I know I’m not the only one harboring that fantasy. 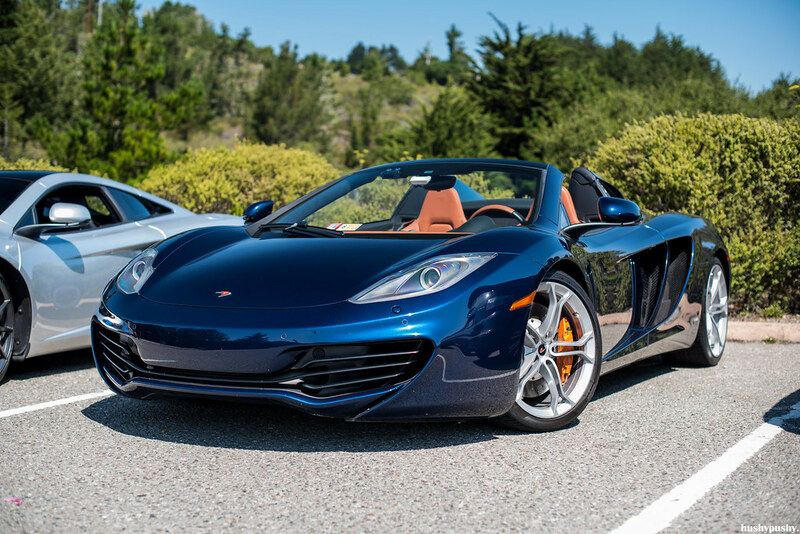 Robin, the owner of this 12C Spider, always had a dream of driving across the country, preferably in a convertible. So after acquiring this McLaren and realizing that his job could easily accept a long-term spell of him “working from home”, he packed his bags and headed west. He began in Virginia, so it took a couple of weeks until he reached beautiful sunny California. But when he did, myself and a few forum buddies decided to give him a warm welcome by showing him around our local backroads. 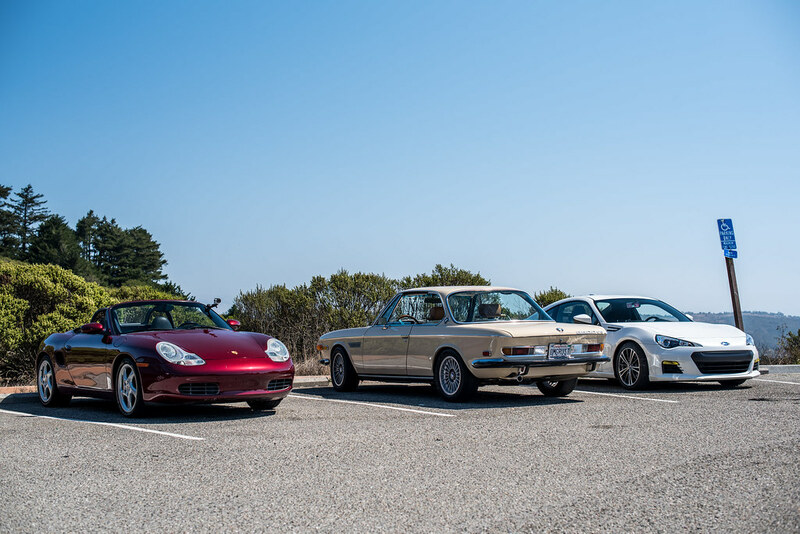 It wasn’t a large meet by any means; two McLarens joined in, plus me in the Boxster, Brendan in his E9, and another TCLer in the BRZ who I met for the first time. 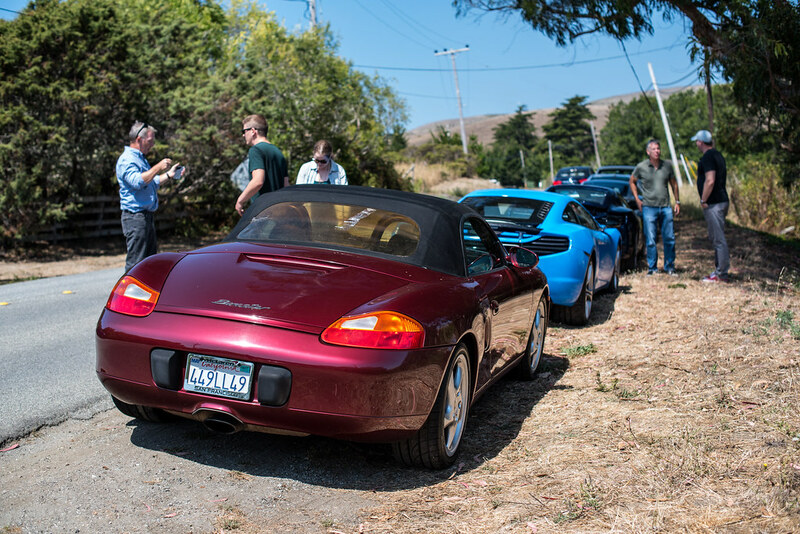 Not pictured is Drew in his VOLOLVO, who was a bit delayed because he had to drive from San Leandro. Oh, and did I mention it was Labor Day?? We hung out and BS’d for a while as we waited for Drew to roll up. 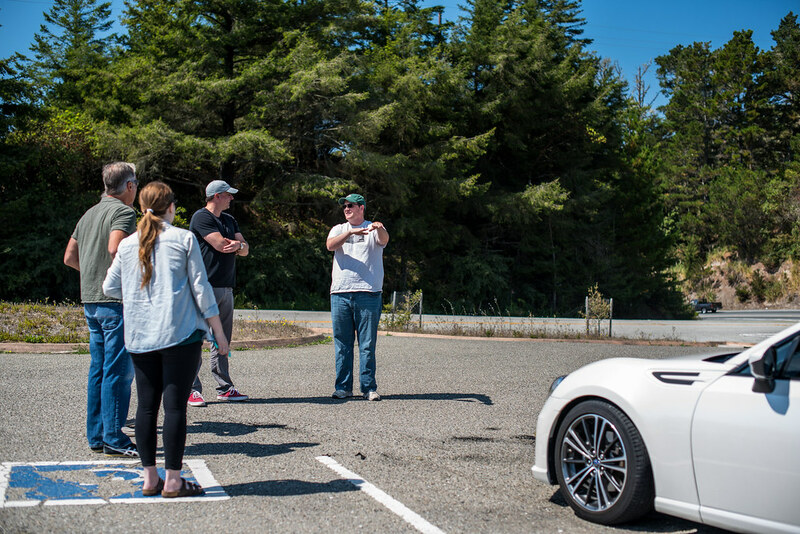 Brendan always has some interesting car tales, complete with the requisite demonstrative hand signals. 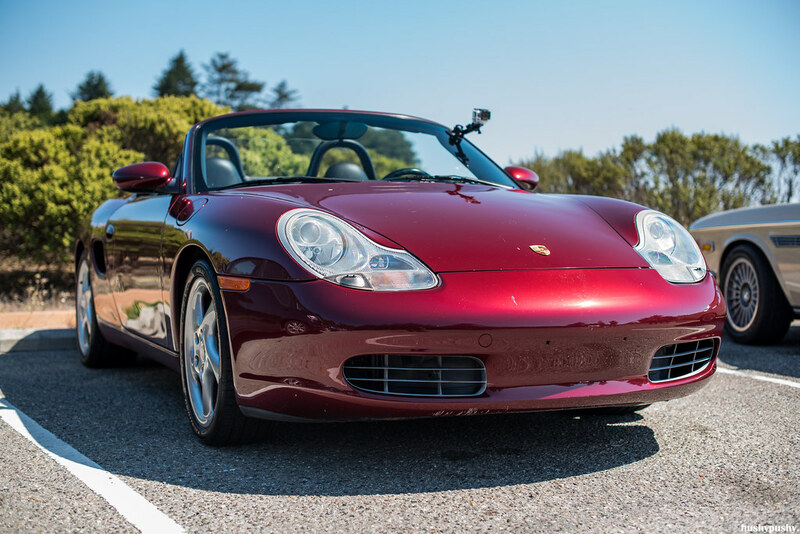 His car is actually on the market, so I figured I should take as many snaps as possible before he gets rid of it. The other reason is right there: the original plastic rear window has turned out like all original plastic windows: totally oxidized and gross, with a big crack covered in clear tape. Our little tour ended in San Gregorio, where we hung out and had a snack. 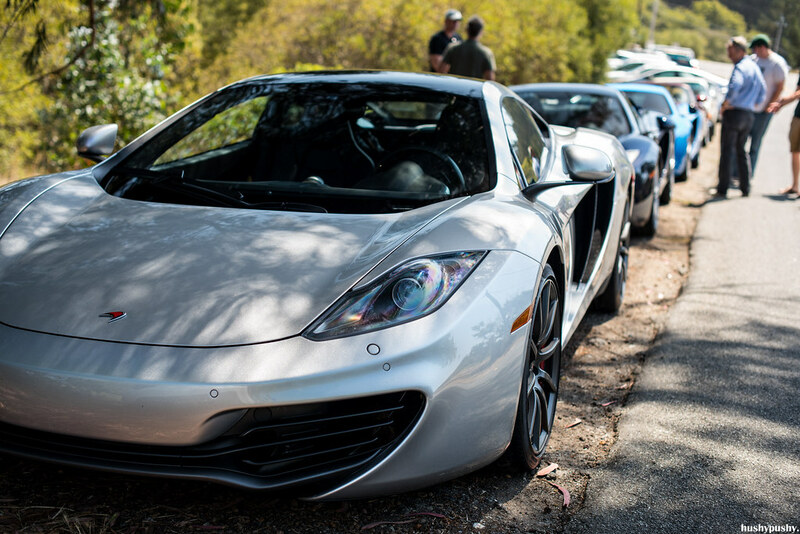 Looking over these pics, I realized that I completely forgot to get any close-up shots of Dave’s newly wrapped 12C. Well, you can see the crowd around the bright blue McLaren, so that probably explains it. 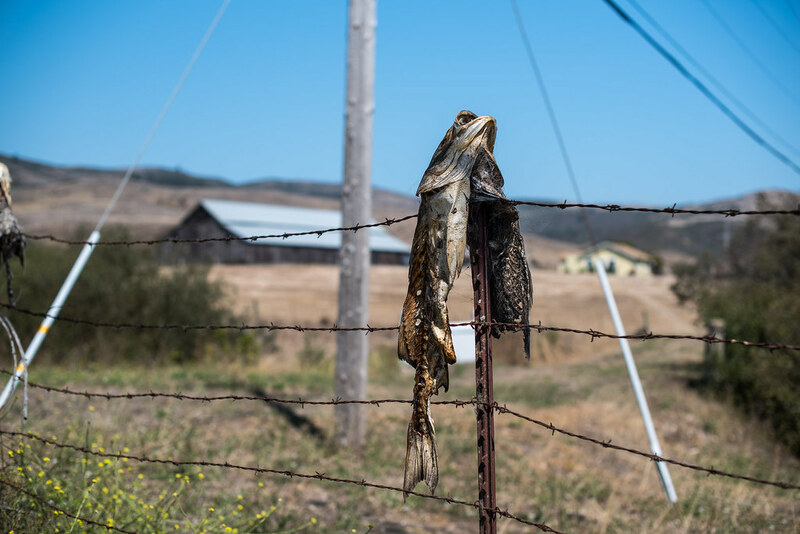 Across from the general store we stopped at is a long barbed wire fence, with…dead fish on it? If they did that to creep people out—it worked!